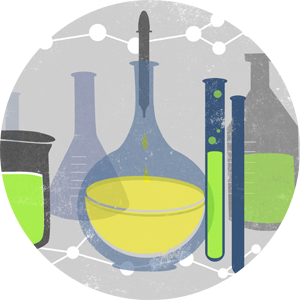 In celebration of the American Chemical Society's National Chemistry Week, the University of Kentucky Department of Chemistry will host a demonstration show for school-aged children and their families this week. 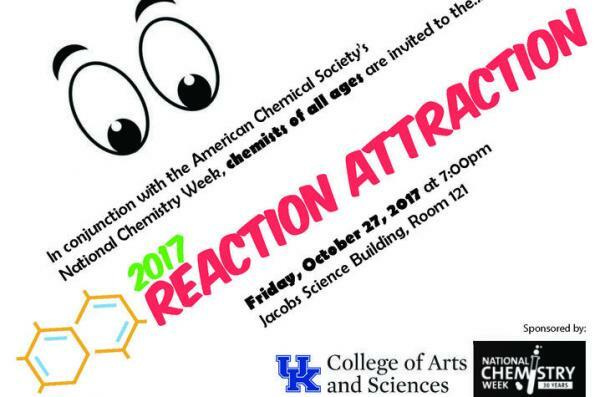 The "Reaction Attraction" will begin 7 p.m. Friday, Oct. 27, in Room 121 of the Don & Cathy Jacobs Science Building (JSB). This public event serves as the department's primary outreach activity during National Chemistry Week..
"Young and not-so-young scientists will enjoy the colors, sounds, smoke and fire at a show guaranteed to entertain and even educate," said Steven Yates, professor of chemistry and Arts and Sciences Distinguished Professor. "UK Professor Jack Seleque, a master showman who looks every bit the part of a scientist, will be leading the presentation. Demonstration favorites include elephant toothpaste, the electric pickle, an alcohol cannon and the famous Belousov-Zhabotinsky reaction." The department's annual Lyle Dawson Lecture will also take place this Friday. The lecture will run 4-5 p.m., in Room 321 of the JSB. Teri Odom, of Northwestern University, will discuss "Single-Nanoparticle Sensors of Nano-Bio Interactions." A reception will follow the lecture. More information is available at https://chem.as.uky.edu/seminar-Fall2017-DawsonLecture. Free parking for both events at JSB is available in the Rose Street Garage, which is entered from Hilltop Avenue on campus.